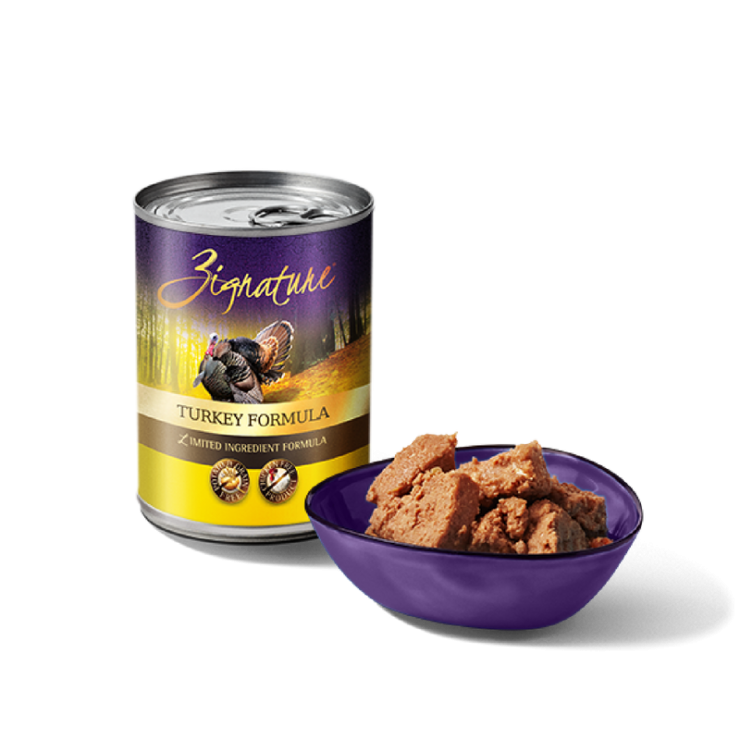 Zignature Canned Turkey Formula is available for you to pick up at North Fulton Feed & Seed! Our Turkey Formula dog food is full of turkey from the American Midwest, and is a natural prey for medium sized dogs in the wild. This limited ingredient dog food is low in saturated fat, rich in Selenium, Riboflavin, and Phosphorus. The best high protein dog food is grain free, making our Turkey Formula a naturally hypoallergenic dog food. The best dog food is also balanced with fruits and vegetables to provide your pup with powerful antioxidants and fiber-rich low-glycemic carbohydrates, making our Turkey Formula the healthiest pet food for your pooch.